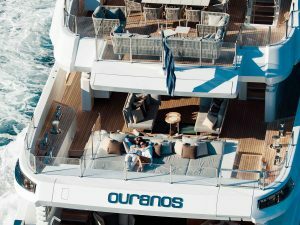 OURANOS, is a 50m (164.04ft) luxury super yacht, with 3 capacious levels, built by Admiral in 2016. 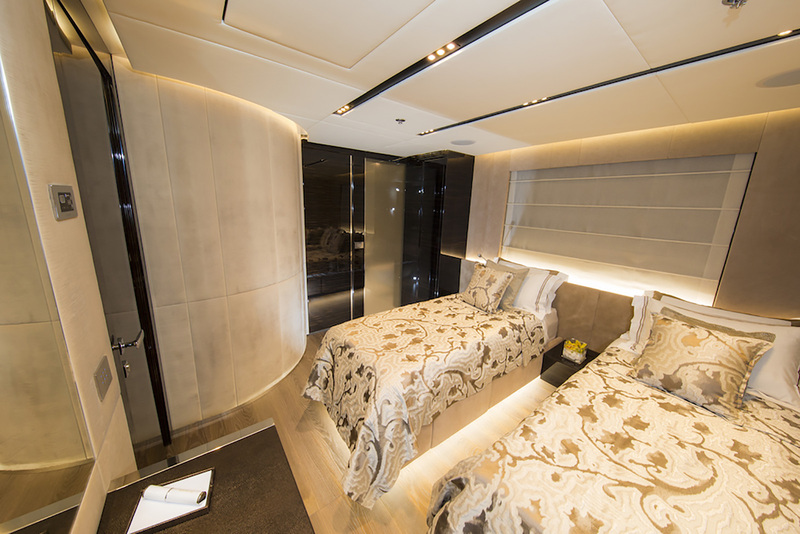 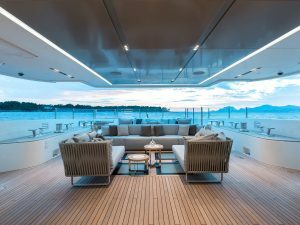 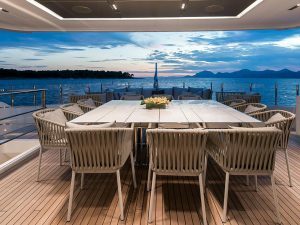 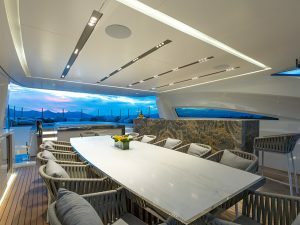 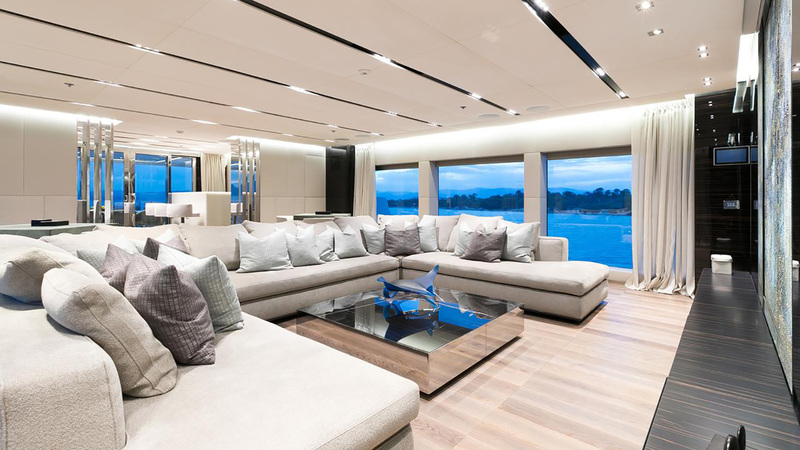 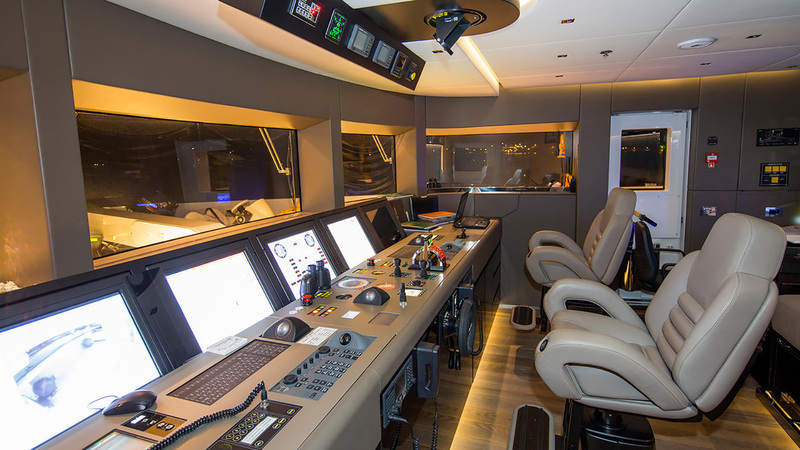 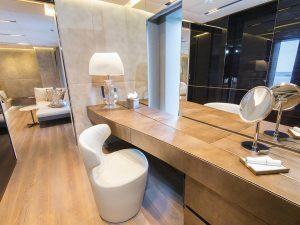 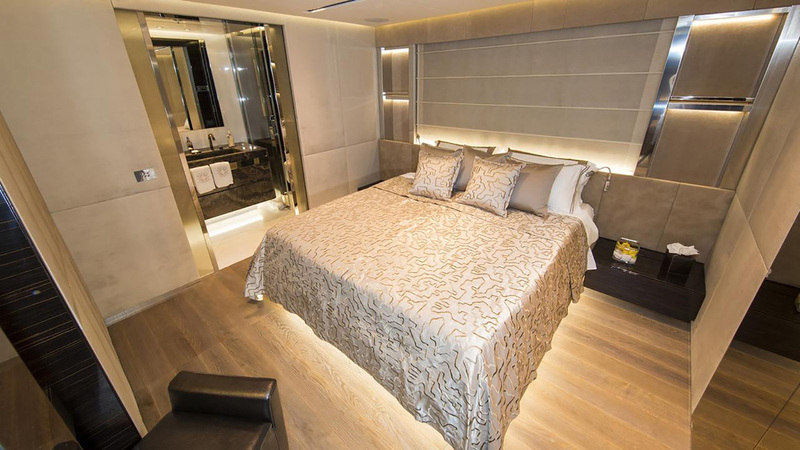 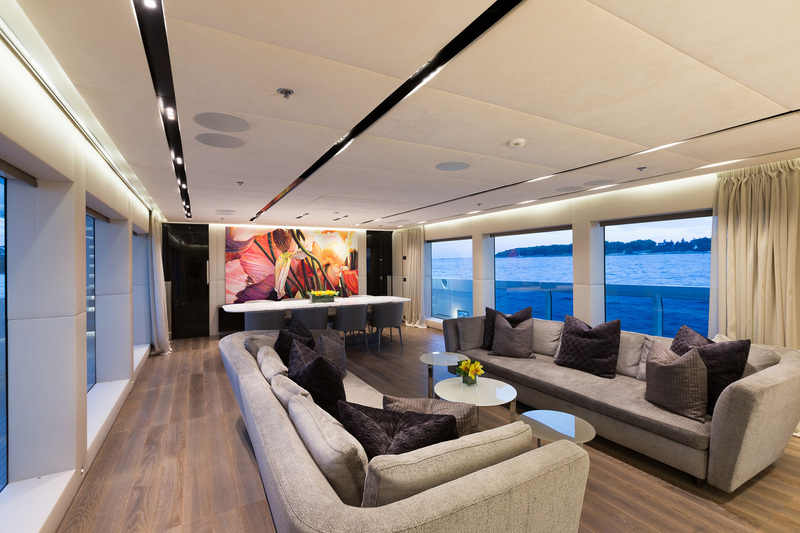 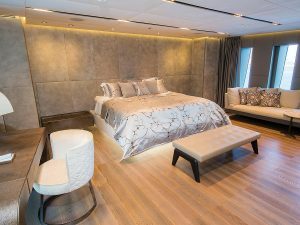 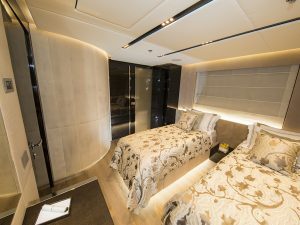 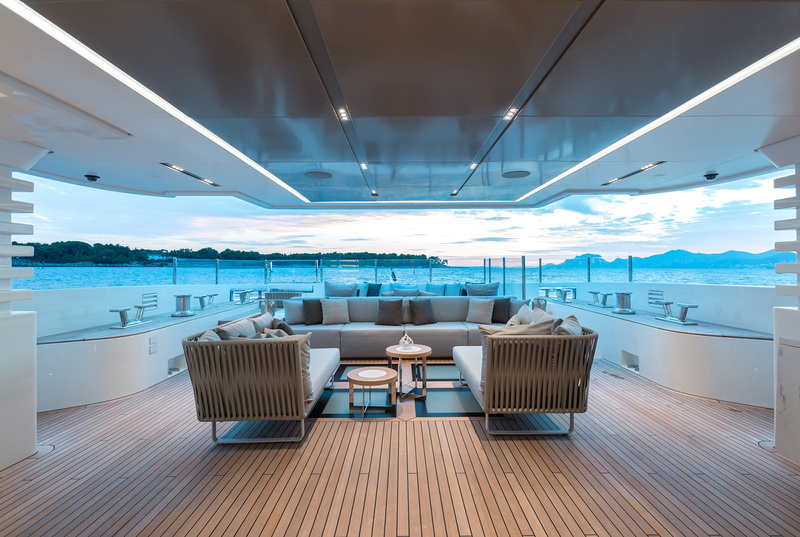 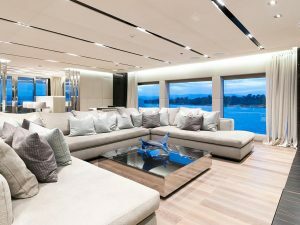 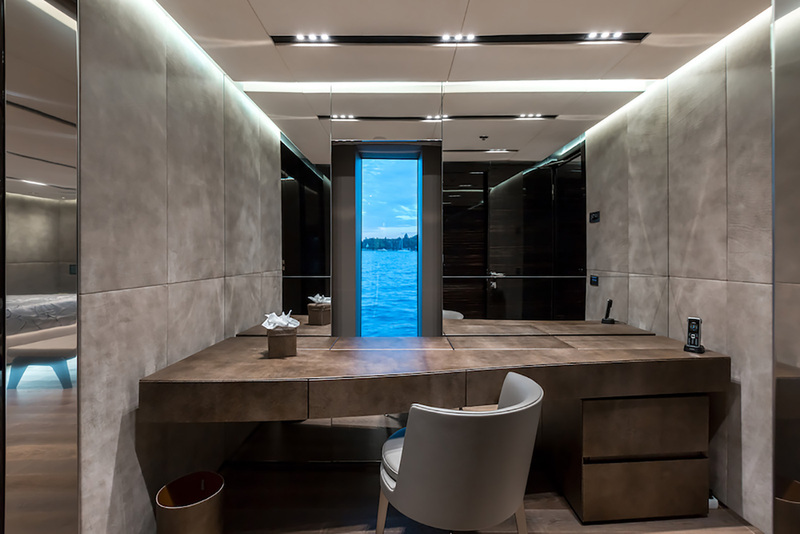 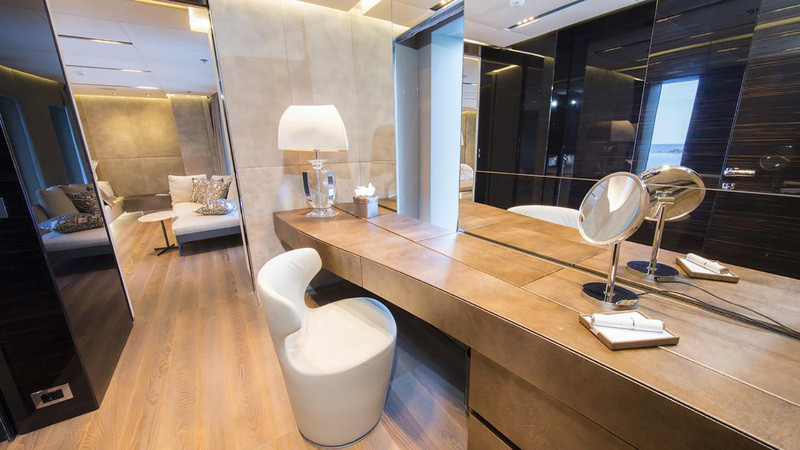 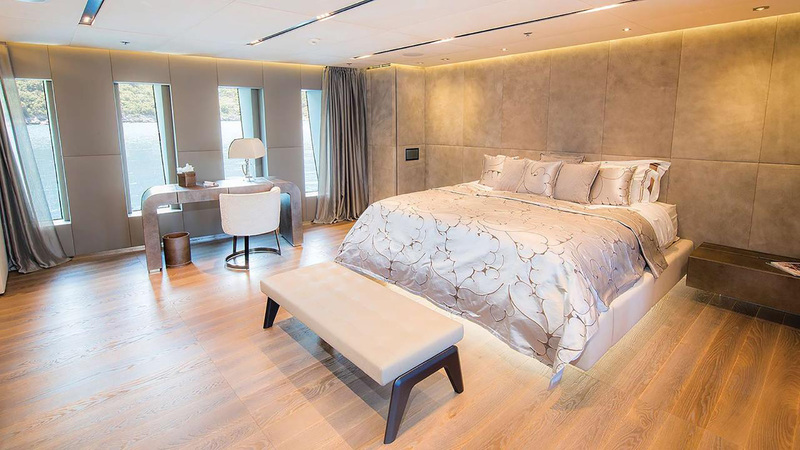 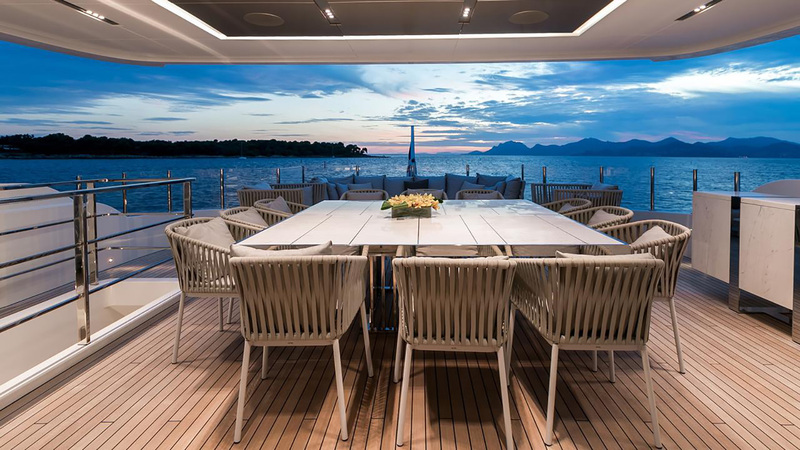 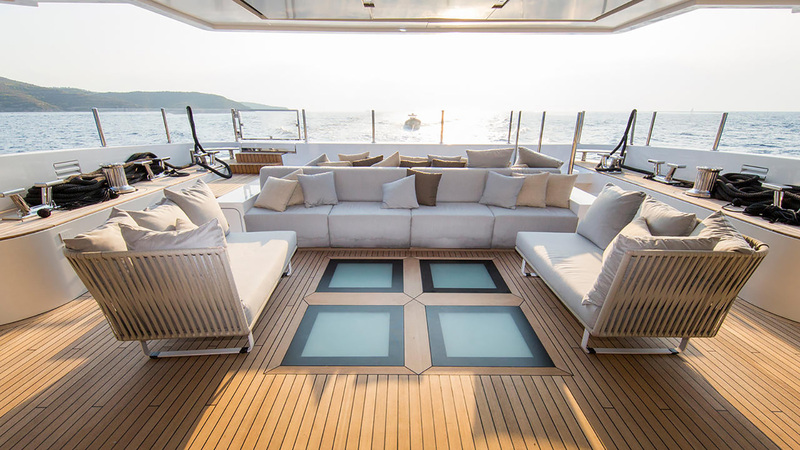 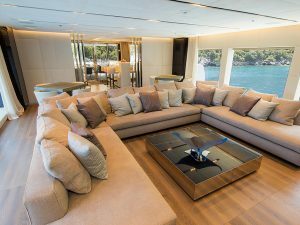 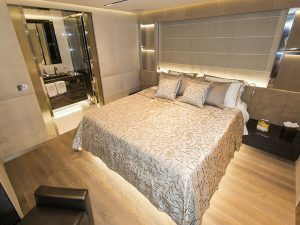 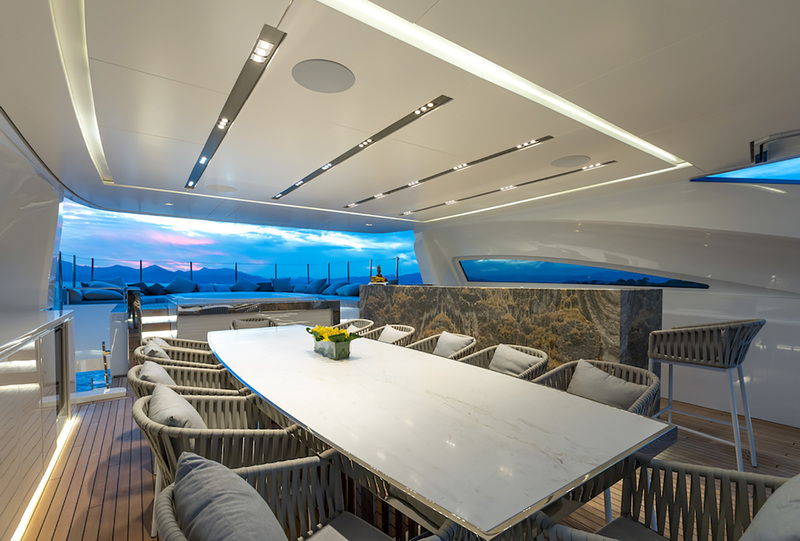 Her interior design is by Admiral yachts and her exterior is by Unielle Yacht Design. 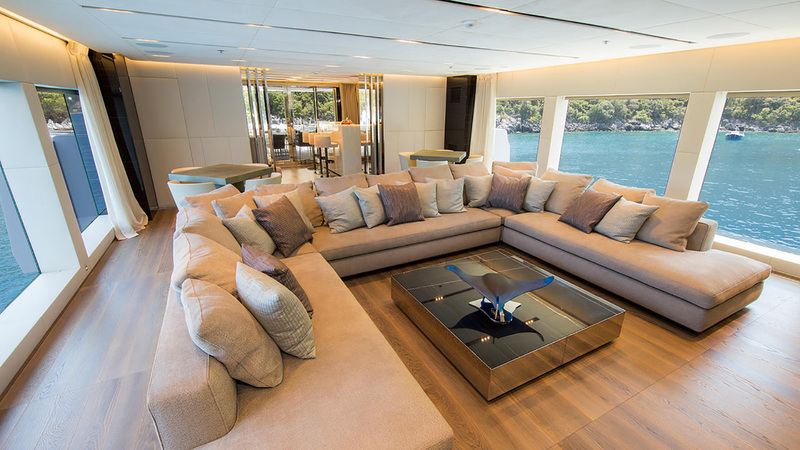 M/Y OURANOS, on the main deck, boasts the salon and the formal dining, surrounded by panoramic windows for natural light. 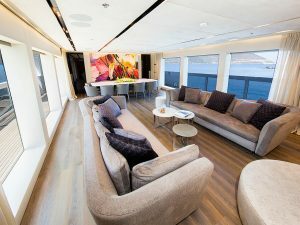 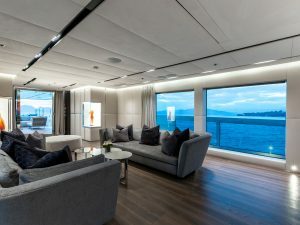 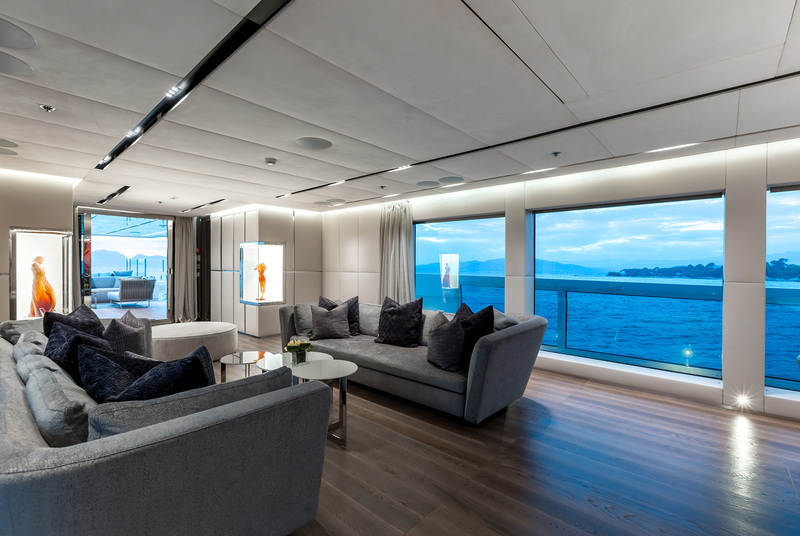 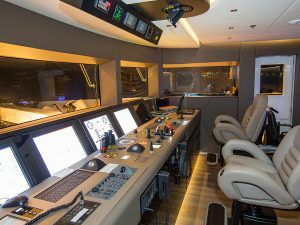 On the upper deck, there are a comfortable seating space and coffee tables, wet bar aft and TV entertainment. 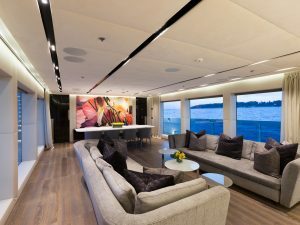 On the lower deck, there are further guest accommodation. 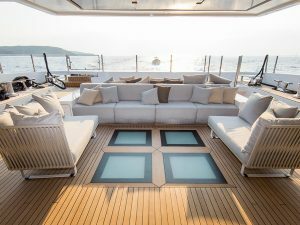 On the top deck there is a fantastic sundeck, complete with al fresco dining, wet bar, Jacuzzi tub, chaise lounges and a seating area. 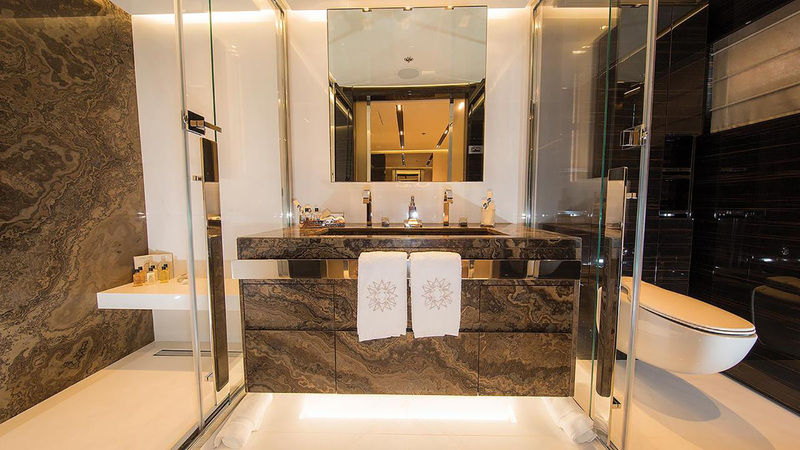 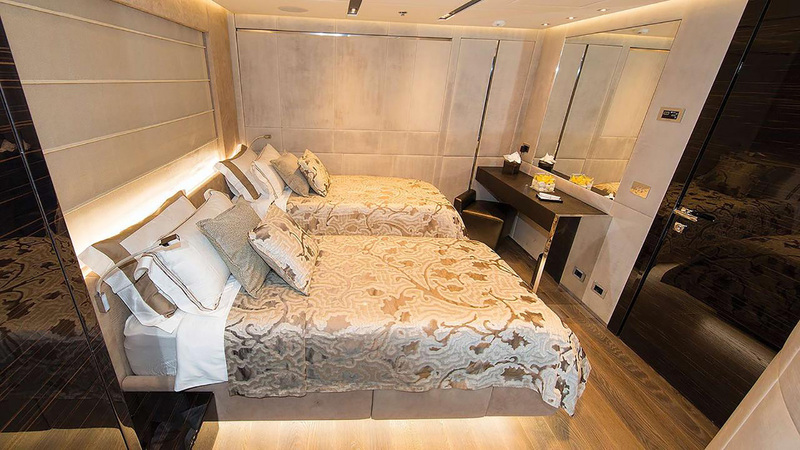 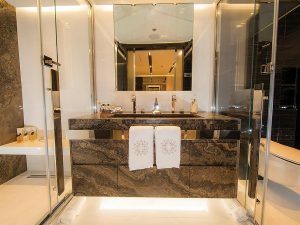 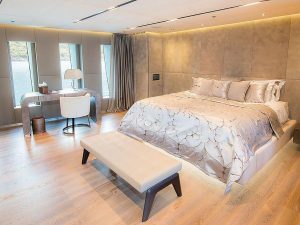 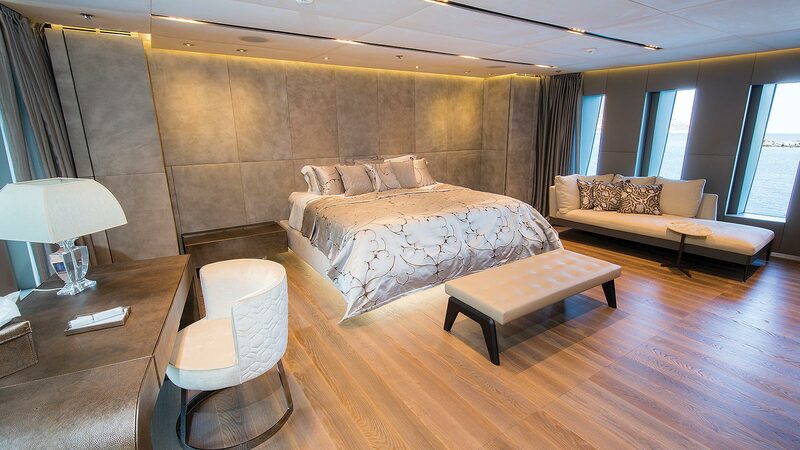 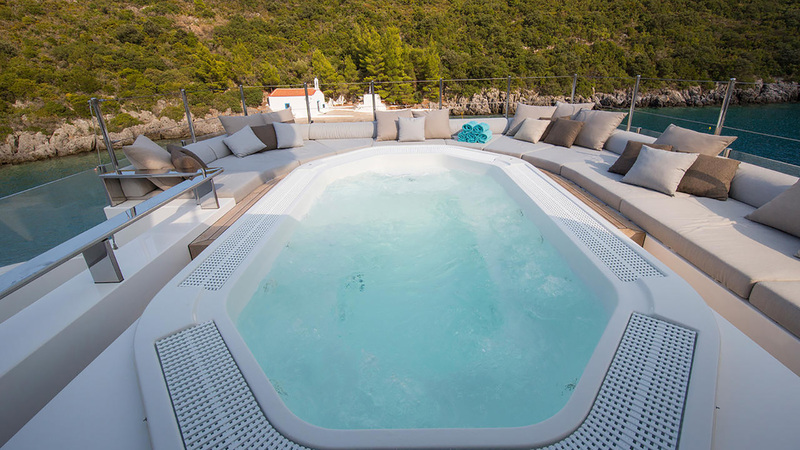 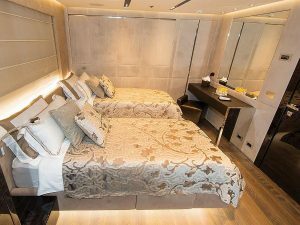 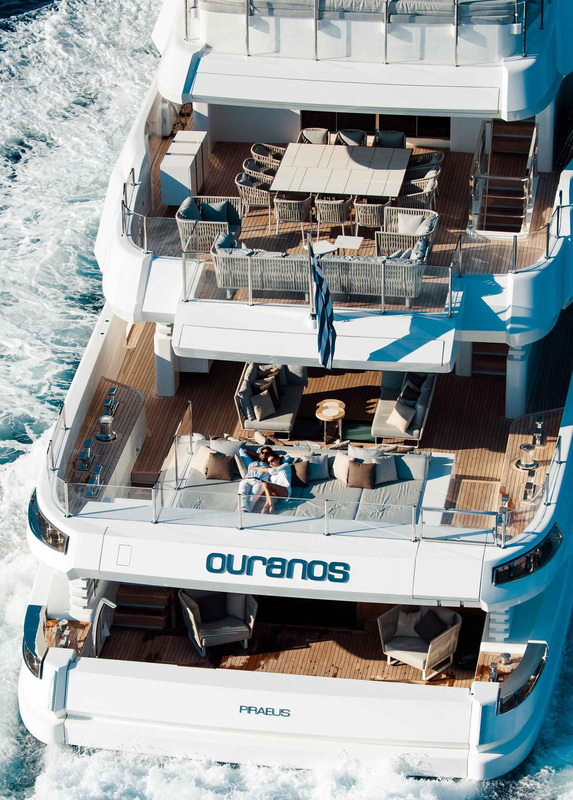 M/Y OURANOS, accommodates 12 guests in 6 luxury cabins. 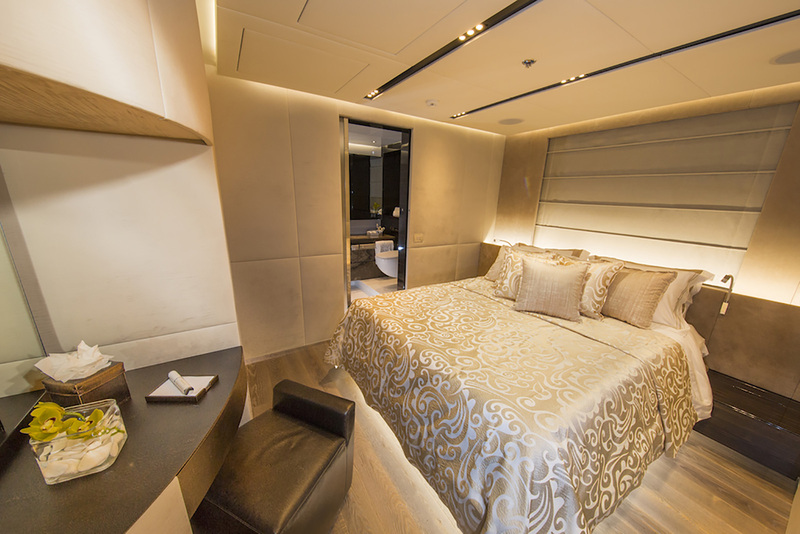 A master stateroom, placed on the main deck, forward of the salon, and full beam of the yacht. 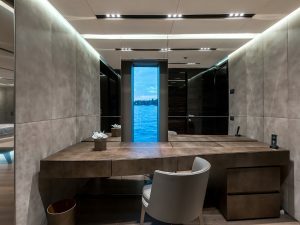 including a large private study. 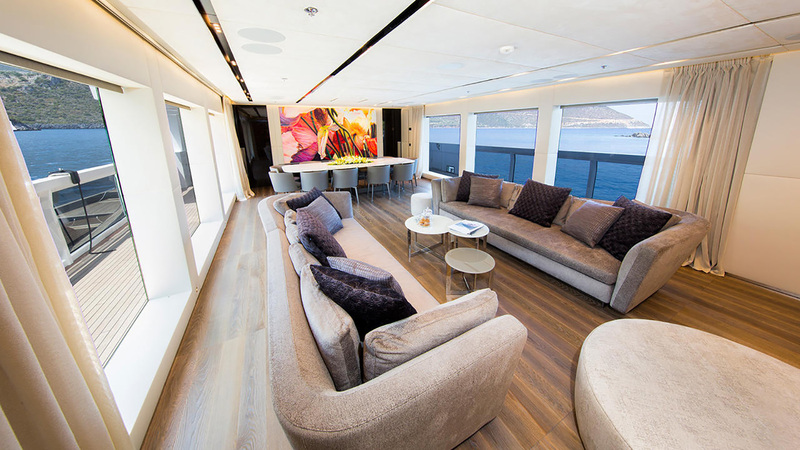 On the lower deck, there are 3 double cabins and 2 spacious twin cabins. 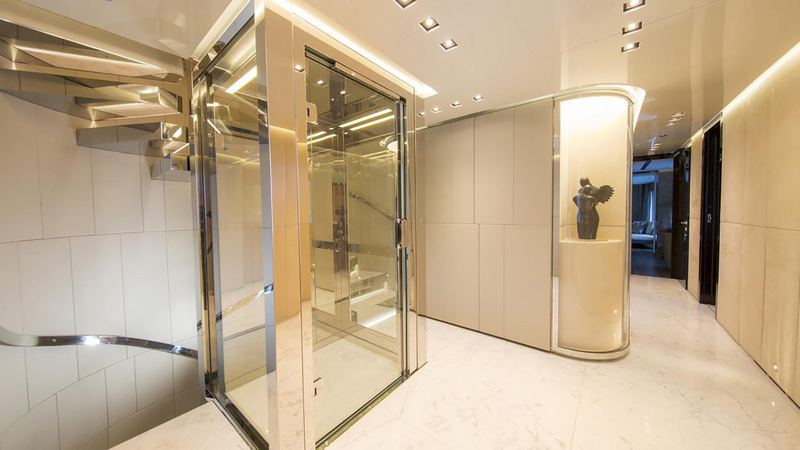 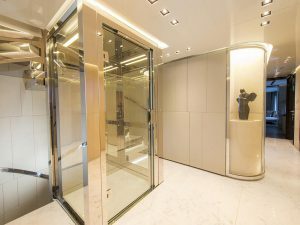 An elevator is ideal for getting the lower deck to upper deck. 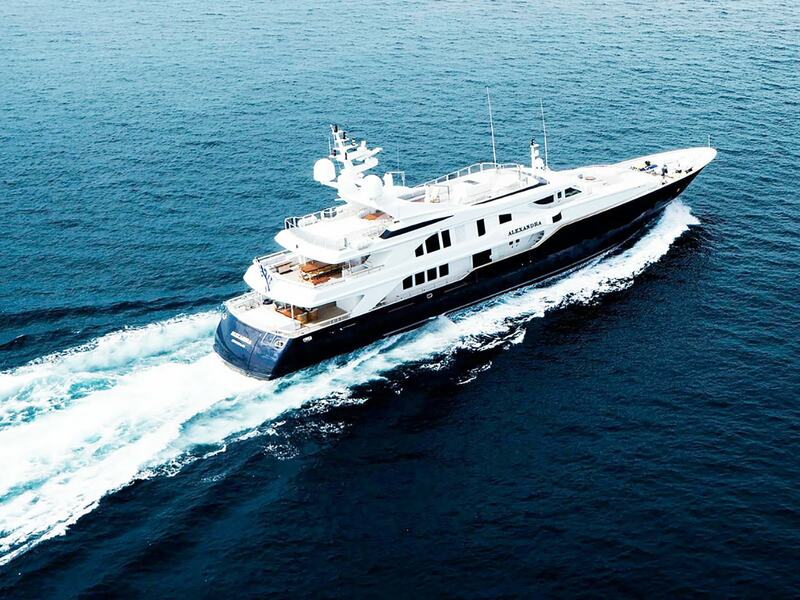 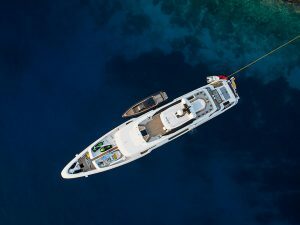 She is also capable of carrying up to 12 crew to ensure a relaxed luxury yaxht experience. 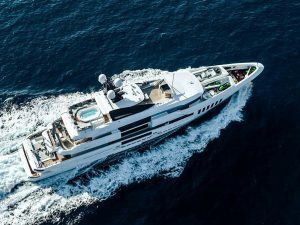 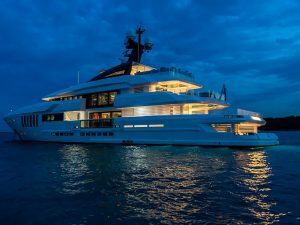 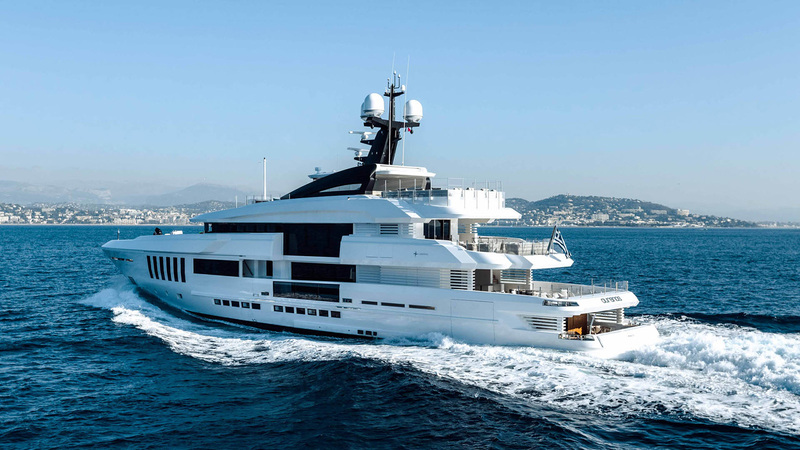 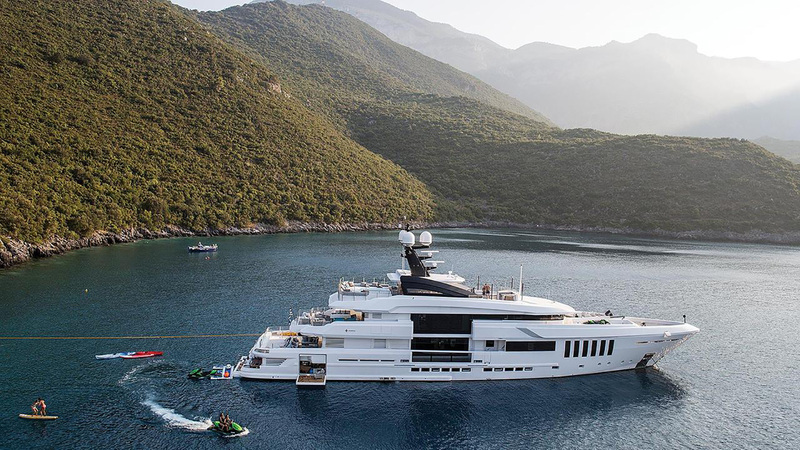 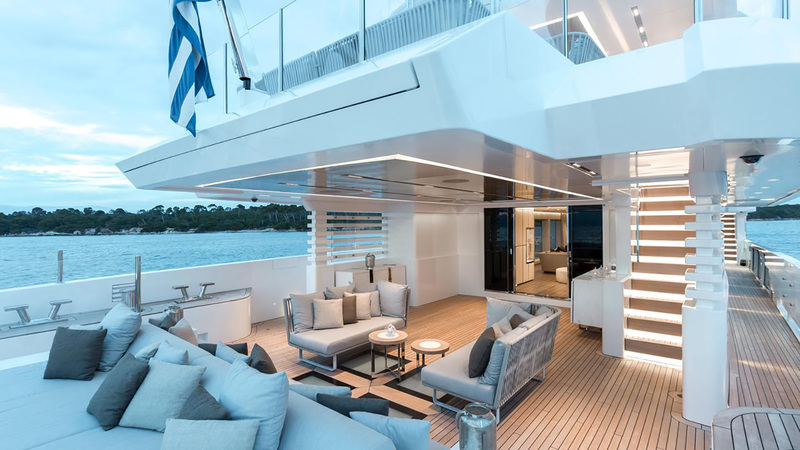 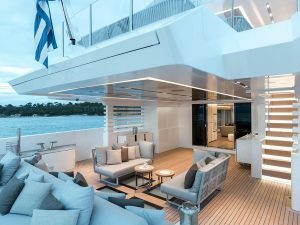 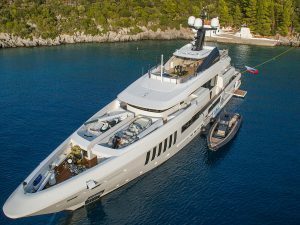 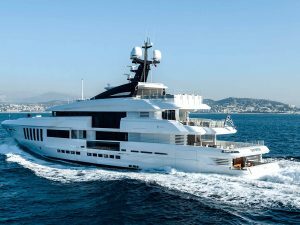 M/Y OURANOS, is built with Steel hull and Aluminium superstructure. 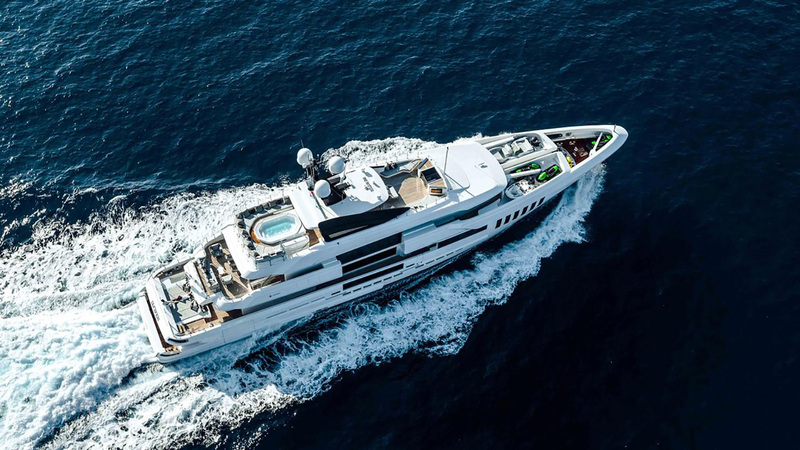 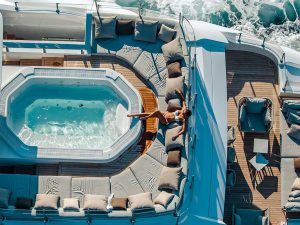 With a cruising speed of 14 Knots and maximum speed of 17 Knots and with her strylish luxury design and comfortable spaces, M/Y OURANOS is the perfect combination of performance and luxury. 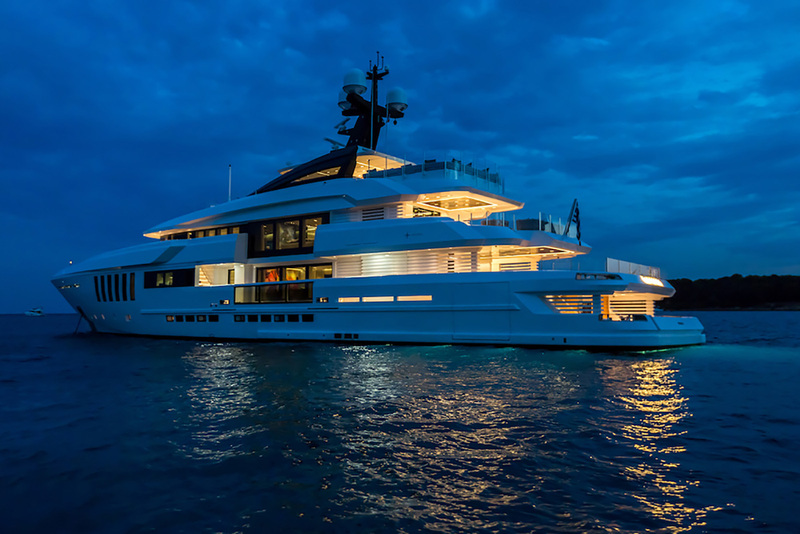 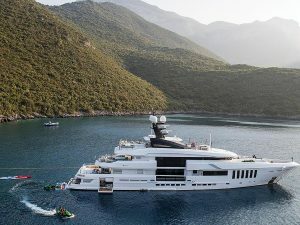 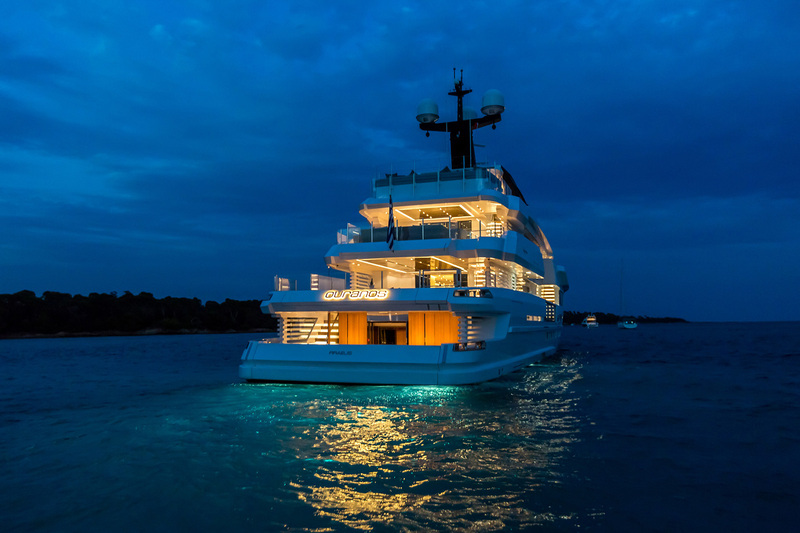 She named the “Most Silent Yacht Ever Certified” by the RINA Classification Society. 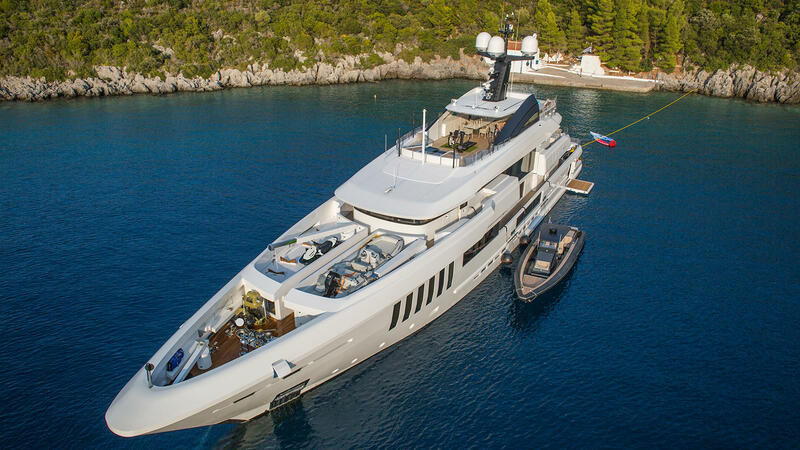 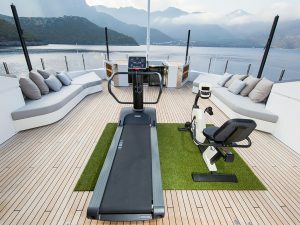 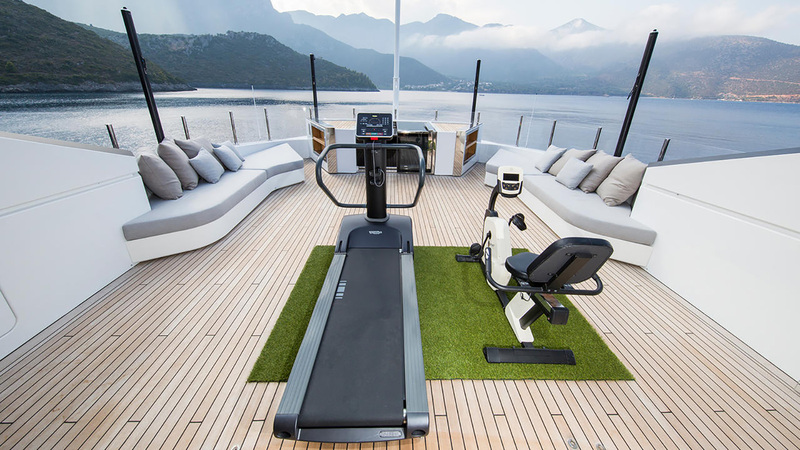 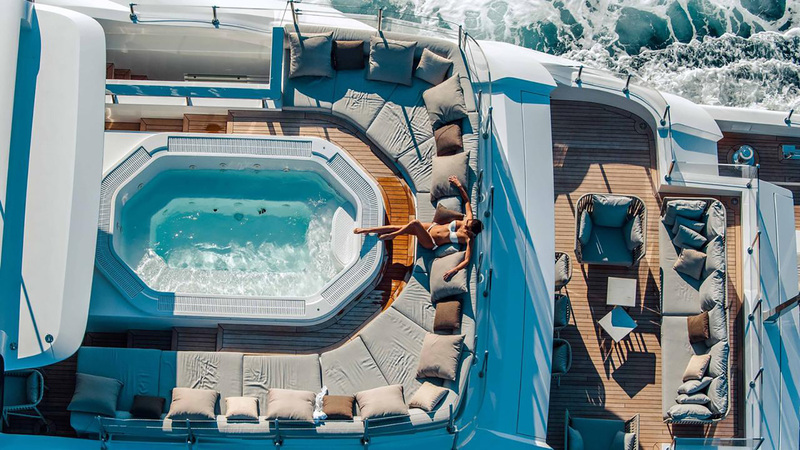 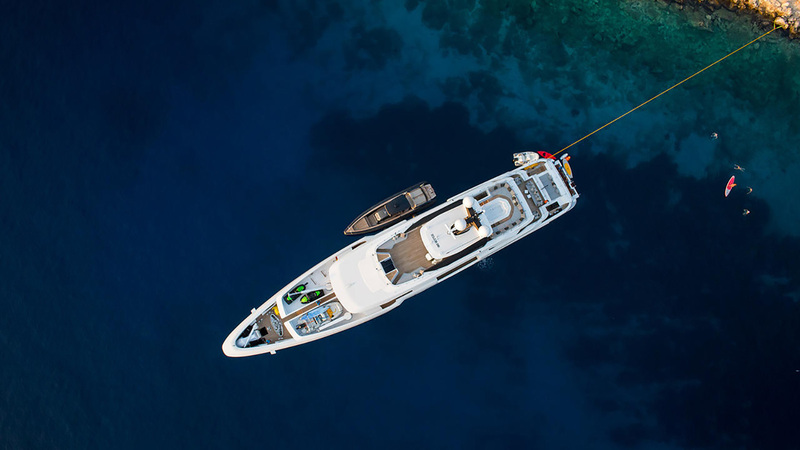 M/Y OURANOS has a huge selection of water toys, for her guests entertainment.